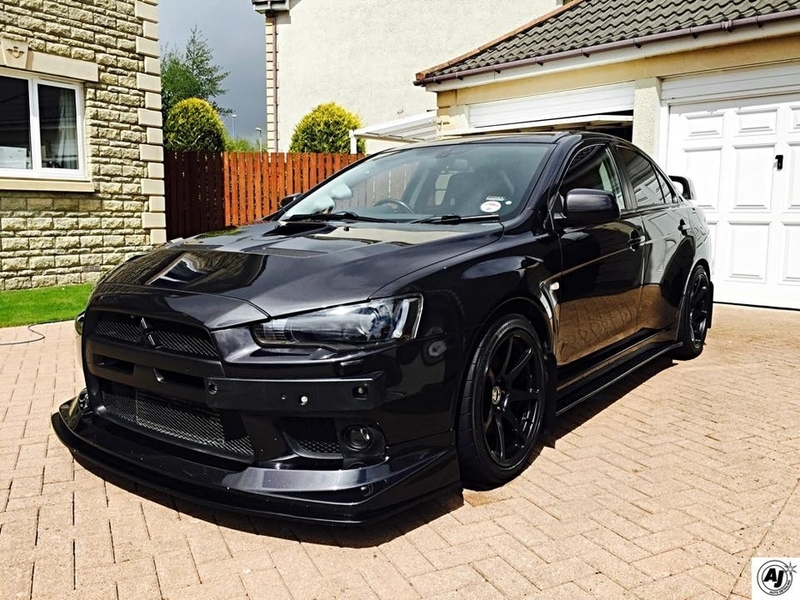 Very nice I miss all my old cars in some way or other, but the SVR is like an EVO on steroids built in a super luxurious supercar, it is totally stock but has ran 1/4 mile in 11.1@126mph and hit 0-60 in 2.9s and having an adjustable power split in dynamic its 90% rear so I can do skids and in wet mode its 50/50 so handles more like an EVO and just planted whilst having heated seats, heated screen, 1000W sound system, remote start and a whole host of other toys and leather quilted interior. I am however getting itchy feet, so I've thrown it up for sale on Pistonheads as got my eyes on something Italian maybe next, Mclaren tempted me but crazy depreciation and unreliability has scared me off. But it's got a puncture. That sounds like some machine you have there! I don't think I've ever seen one in the flesh! The Jag looks spot on too! A good selection of cars you have had then!! I've got one too with a puncture and I think it gets used less than the car unfortunately. either gibbo has always been good with his money or OC pays him too much . 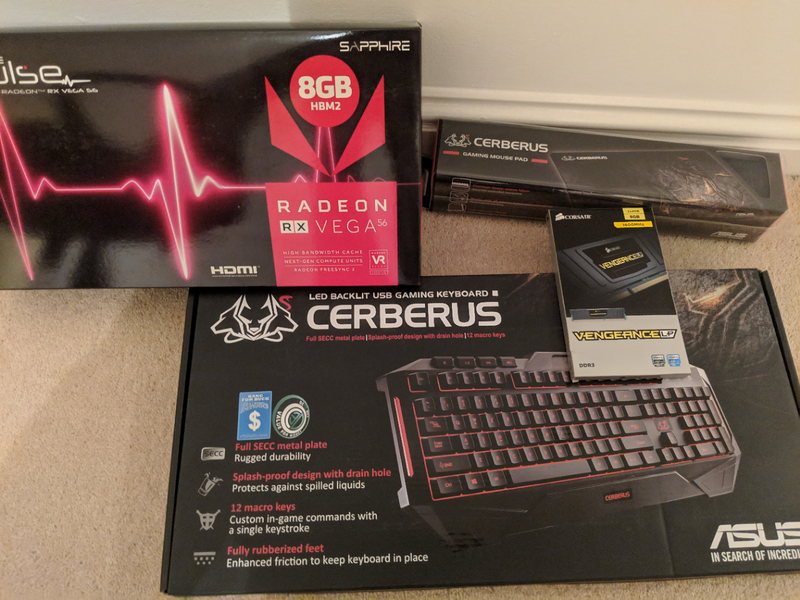 back to OP - if you want a top end gpu and can power it then get the vega 56, £300 is a cracking price otherwise a 1060 6gb will do you just fine, but try find a good deal on which you want as they pretty expensive still, my aero itx seems to be a good gpu, it passed the VR test on steam perfectly and will be much better than the 570 it replaced in games, i ended up paying £240 for it, but then i did need to buy a new psu as well as i had the same budget as you. I'm pretty much set on the Vega 56. Still trying to figure out the shipping though. I know it is only £10 but if it states free, I be as well save that for petrol haha. I've done all that. Spoke to customer services and they said it probably is because of my address and being out with the qualifying area. if you can afford £300 for a gpu, then £10-20 for shipping should be nothing lol and would likely cost you more in fuel from wherever you collect from. Yeah I know. I'm just being tight haha. Purchased along with a new keyboard too. Hopefully my PSU will cope now!! I’m good at my job so I’m well looked after. I’m also prettt good with money too well not too bad anyway. Does anybody know What the sales are like on the 590? I had been using the computer with a wireless keyboard. It was doing my head in missing key strokes so a half decent one needed bought. That mouse mat stinks though haha. Having a bit of an issue here. Been trying to get it installed today but I'm getting no fans spinning on start up and not finding any AMD hardware in the installation process. Powering via one 6 pin connector and 1 8 pin connector. I'm not too sure where to go from here as I've just installed my old card back in and it is working fine. Edit to add: PSU is a OCZ bronze edition 550W. The card takes 2 8 pin connections, so 6 pin and 8 pin won't work. Hmmm, that psu may not be the best either. I plumped for a new one when I got the card the other day. Does it have 2 separate wires for the connections? Ideally need 2 separate wires. Both 8npin though! Thats what I'm thinking. Could be new PSU time. Both of these are on the same line though so I assume I need two separate rails of 8 pin would be best? Yeah 2 separate is recommended in order to avoid any issues. I believe they can work on the same rail with a good quality psu. Picked up an antec earthwatts 650w gold. Its semi modular. Bit pointless for me as I've used every connection!! Ok thanks. I might go bigger so it lasts longer. Had to upgrade my PSU last time I bought a GPU. Should have just bought a decent one then.